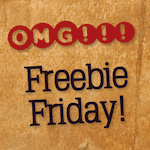 Freebie Friday “Wars in the Stars” Edition: Win a Free Redbox Gift Card! Solo: A Star Wars Story hit Redboxes everywhere this week. Let’s talk about our favorite entries in the long-running space franchise! What’s your favorite movie in the Star Wars series? I don’t watch Star Wars. Never liked Star Wars cannot see the obsession many have with it. Hmm…I might actually say The Force Awakens at this point. All of them but I guess I would choose A New Hope.